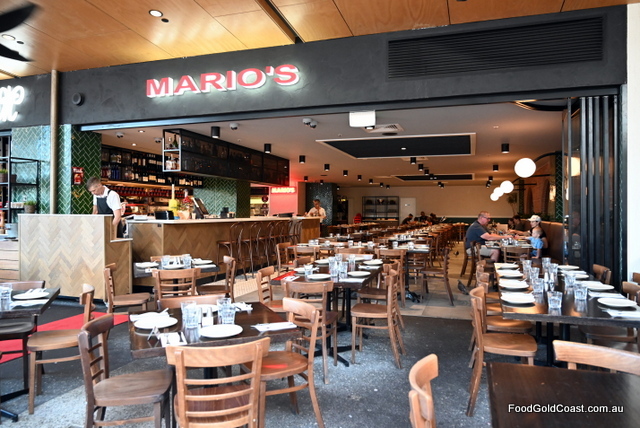 If there was a family tree of restaurants on the Gold Coast, Mario’s would be the patriarch. Since it was established in 1989, Mario’s has been a favourite of many families, whether they are locals or tourists on annual holidays. Mario’s longevity, when so many other restaurants have come and gone, is testament to its great food and service. 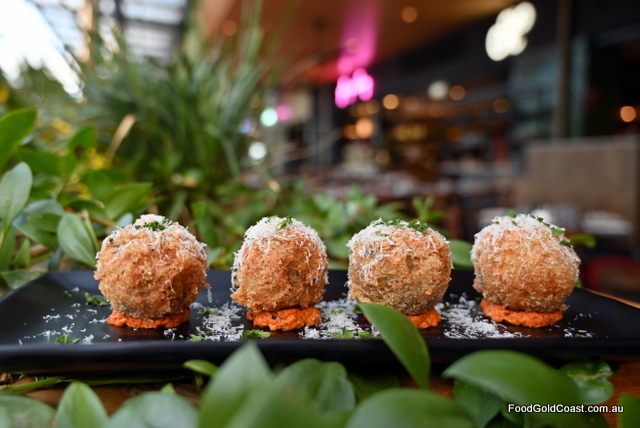 Now, in their newly renovated restaurant in the gorgeous alfresco dining area of The Oasis, Victoria Avenue Broadbeach, there’s even more reason to love Mario’s. Mario’s has a regular clientele of both locals and holidaymakers, with some of their customers dining at the restaurant since it opened, says owner/manager Andrew Dimattina. Thinking back to the occasions we’ve dined at Mario’s over the years, they include special birthdays, hen’s nights and engagements. Tonight we’re dining as a couple, but there’s a birthday celebration on one side of us, a wake on the other. It’s a place where everyone is comfortable, where we can dine in the bustling restaurant or alfresco under the canopy and feel part of a larger family occasion. 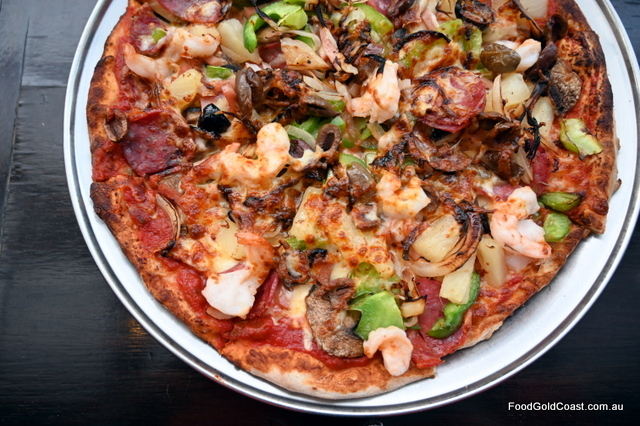 Mario’s menu has something for everyone: an extensive menu of pizza, pasta and meat, starters and mains to graze on or to enjoy as a formal meal. Gluten-free and vegetarian options are clearly marked, and there’s a special children’s menu which includes Spaghetti Bolognaise. 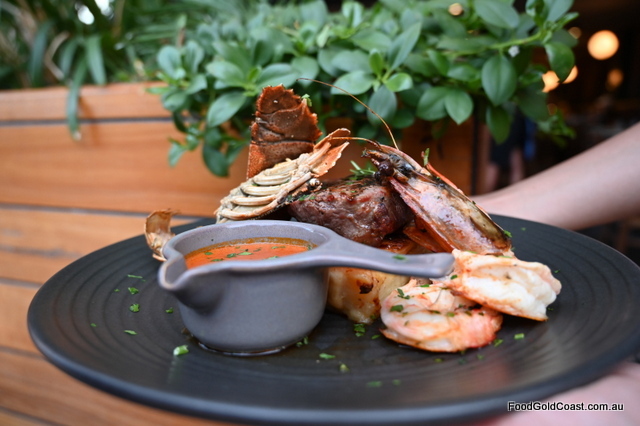 Specialty house dishes are the Mario’s specials, such as the ‘Steak Mario’, 250g aged eye fillet topped with a Moreton Bay bug, two grilled prawns and the chef’s special sauce. Our family favourites include the Scalloppini Boscaiola (or melt-in-your-mouth Gnocchi Boscaiola if you prefer), thin fillets of veal smothered in a deliciously rich bacon, mushroom and white wine cream sauce, Spaghetti Marinara piled high with chunks of fresh seafood and thin-crusted pizza with loads of tasty topping. They’re very generous rustic serves, so no one goes hungry! Pasta dishes are offered in two sizes, so unless you have a large appetite, our tip is to order the entrée size! 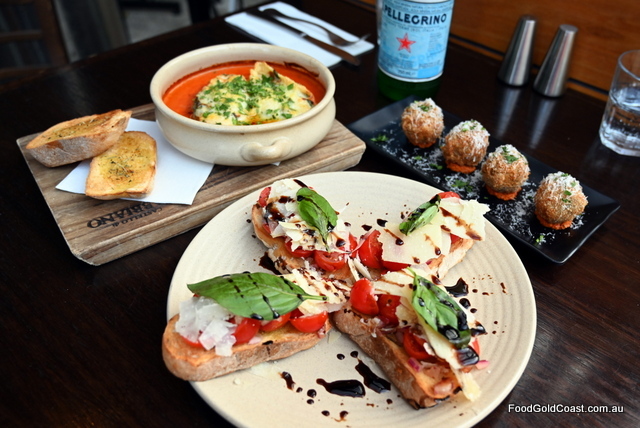 “We specialize in the Italian food that Australians have come to know and love: pizza and pasta. Comfort food!” says Andrew. Despite the restaurant being notoriously busy, it’s a slick operation. 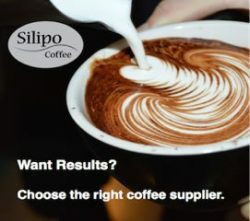 The kitchen’s pumping, the meals brought to you with efficient and friendly service, all overseen by family members both on the floor and in the kitchen; one of the keys to consistency. It’s been that way every time we’ve dined at Mario’s. 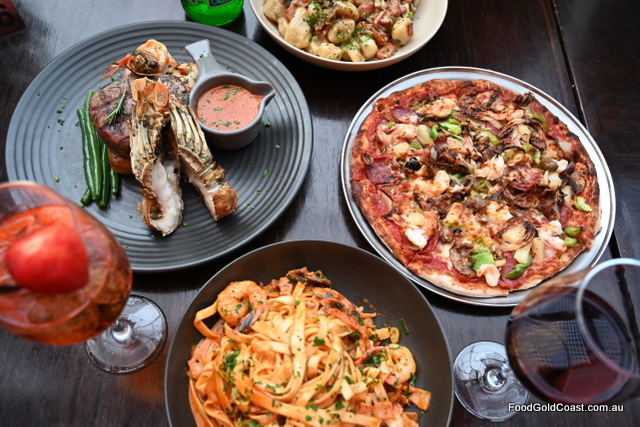 The wine list features a range of Australian boutique classics as well as Mediterranean varietals well suited to Italian food (such as Tempranillo and Sangiovese). A small selection of Italian wines, all very reasonably priced, complements the food best of all. 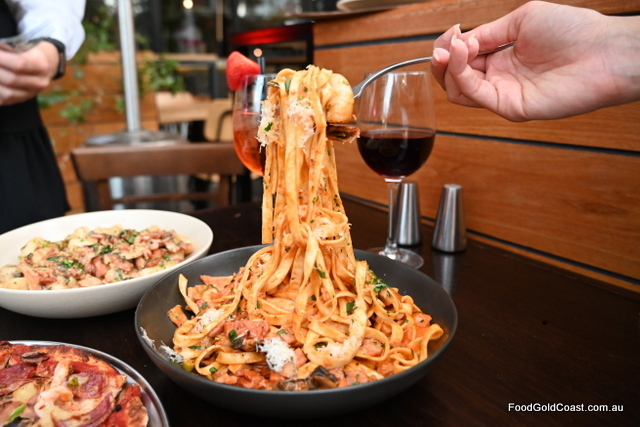 Mario’s exudes the warmth of a traditional family-run Italian restaurant, combined with the professionalism of Lygon Street service. So it’s no surprise to find that the DiMattina family, who bought the restaurant ten years ago from its founders (the Ierna and Parente families) own several Melbourne restaurants (Il Gambero, DiMattina’s, Blue Train Café, and Society). The family’s Gold Coast interests also include Beachside Pavilion next door to Mario’s. The Ierna family has remained with the restaurant after the change of ownership. 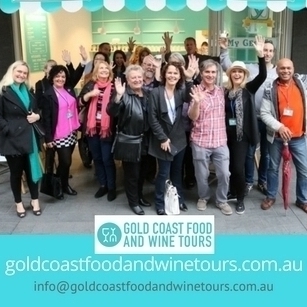 Fast approaching 30 years in the business, Mario’s certainly is part of the Gold Coast family! NOTE: This is an updated review, first published in 2014.